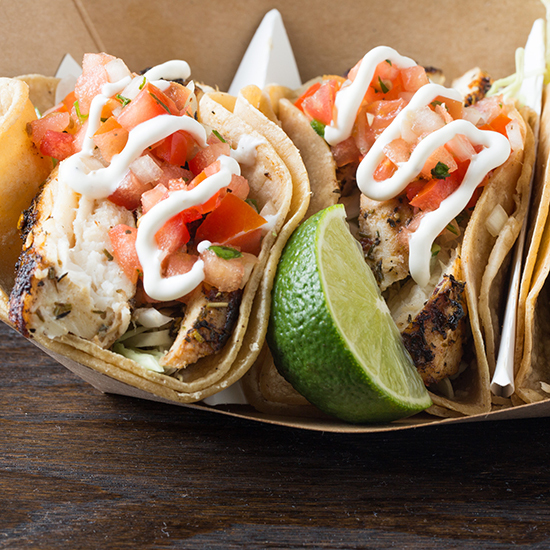 San Diego takes its fish tacos seriously, even at the game: local mahimahi is seasoned with a jerk dry rub, then grilled and topped with pico de gallo, shredded cabbage and crema, and heaped inside a corn tortilla. 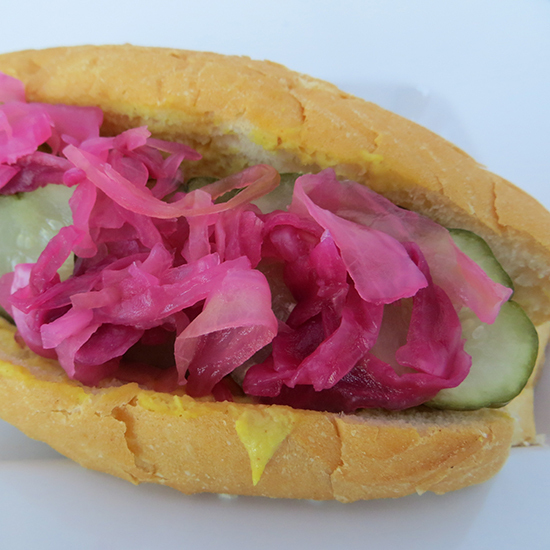 Chef Marc Vetri's Italian spin on the ballpark classic (also on the menu at his well-regarded Italian restaurant Alla Spina) stars a fresh mortadella dog, topped with spicy pickles and cabbage relish. Available on club level only. 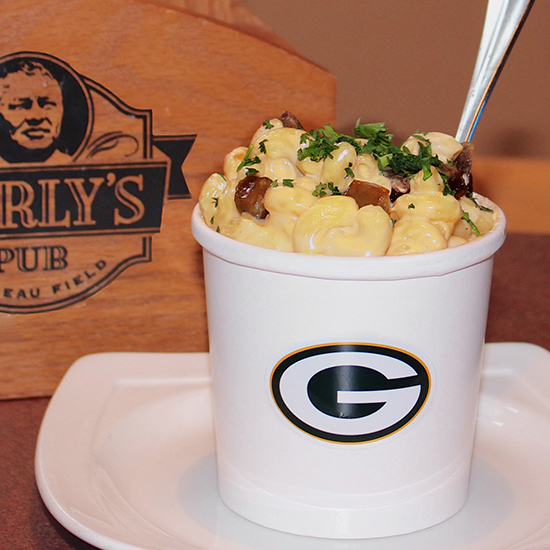 The finest cold–weather comfort food—mac and cheese, made with Wisconsin cheddar—is sold in its traditional form, as well as jalapeño popper–style (with fresh jalapeños and cream cheese) and buffalo chicken–style (with hot sauce, chicken and blue cheese). 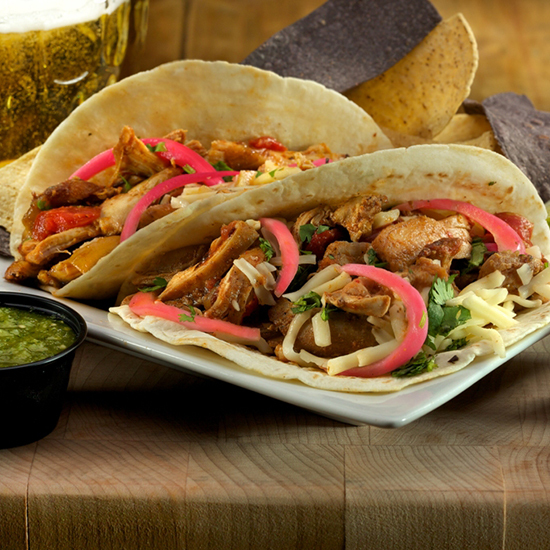 Dressed with Monterey Jack cheese, pickled red onions and cilantro, these tacos are named in honor of the Teal Street Hooligans, a group of Jaguar fans found tailgating before every game. Chef Chris Shepherd embraces the world of culinary influences in Houston at his much-praised Underbelly, and this dish, also on sale at the Texans' Reliant Park, does just that. 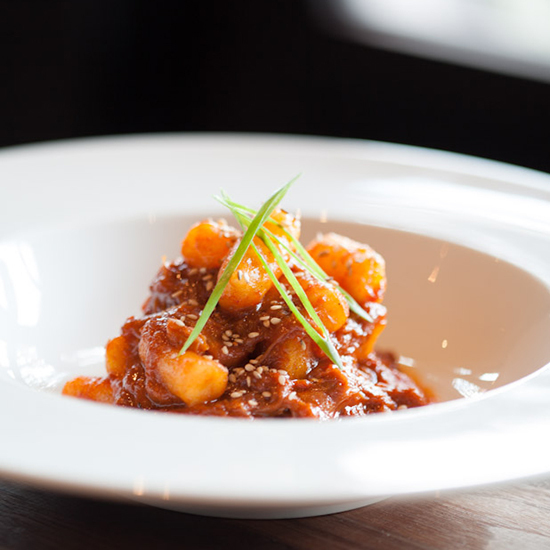 Braised local goat is tossed in spicy gochujang and served atop pan-fried Korean rice dumplings (dduk), made by a Korean family that operates a shop nearby. Available on club level only. 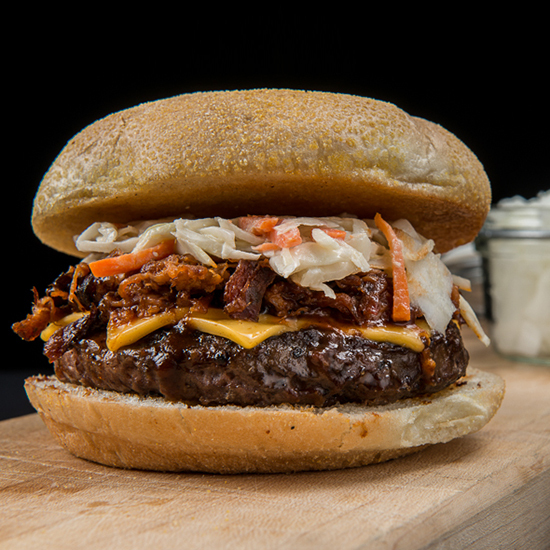 The chefs at the Georgia Dome create a new burger in honor of every visiting team: The New England Patriots inspired a six-ounce crab cake with pickled red cabbage and caper aioli, while the New York Jets got the Reuben treatment, an eight-ounce burger with shaved pastrami, sauerkraut and Thousand Island dressing on a seeded rye bun. 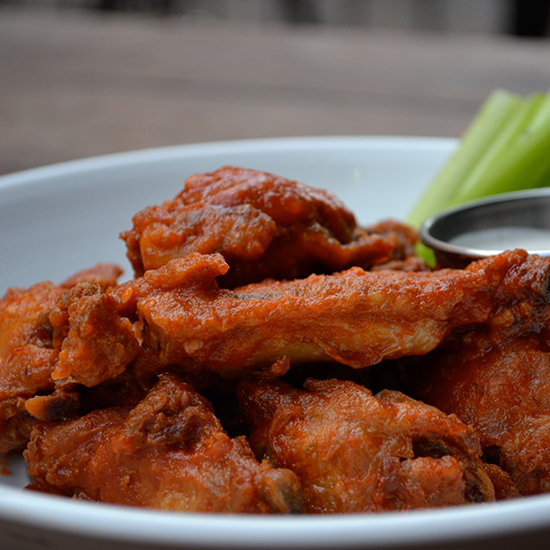 A few steps up from any hot sauce–doused sports bar wings, chef Jonathon Sawyer's confited version comes from his popular restaurant the Greenhouse Tavern. The sweet-and-spicy peach sauce, made from Ohio peaches, is prepared especially for the stadium. Available on club level only. These nachos started as a limited-time special, but became so popular that they never left. 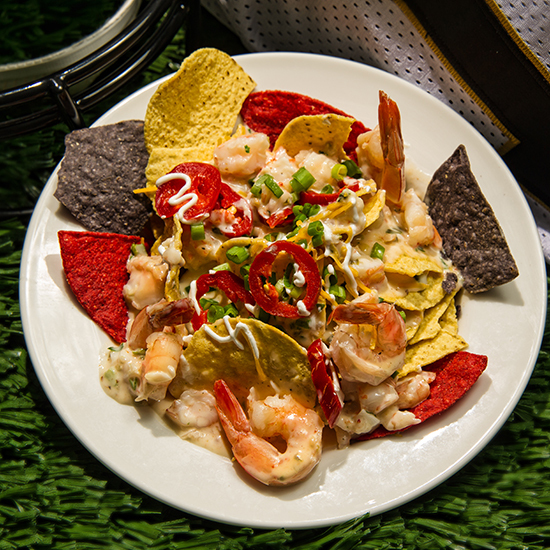 The queso blend includes peppers, onions and jalapeños, studded with fresh Louisiana shrimp and crawfish. 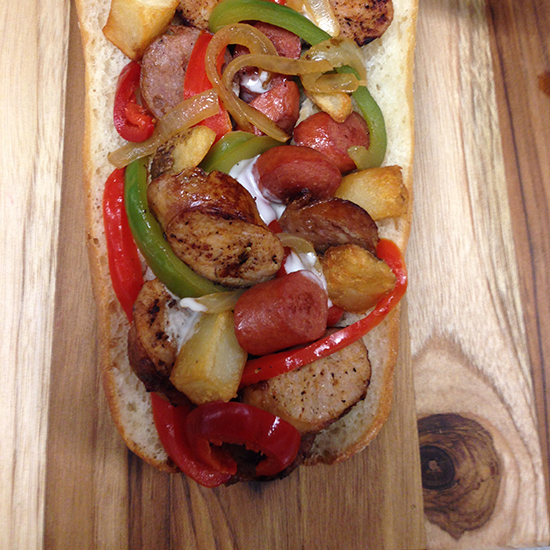 Here's a play on New Jersey's Italian hot dog, which is traditionally topped with fried peppers, onions and potatoes. This version stars Garden State-sourced ingredients: Grilled coins of Thumann's hot dogs and Premio sausages are mixed with fried peppers, onions and potatoes, then served in a seeded hoagie roll from Newark's Calandra bakery. The kicker is the special sauce: a creamy vinegar-based dressing. Founded in 1969, Continental Sausage has a long history in Denver, and now a place at Mile High Stadium. Broncos fans can enjoy a Continental buffalo brat in a bun sourced from the local Aspen Baking Company. 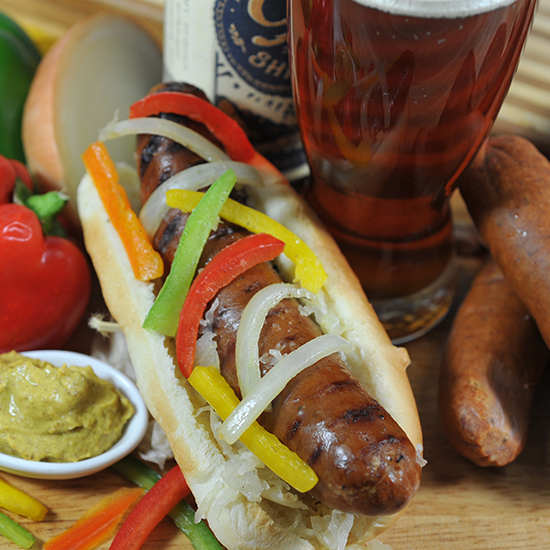 Try it topped with grilled peppers, onions and Colorado craft–ale sauerkraut, made with Odell 90 Shilling amber ale from Fort Collins. 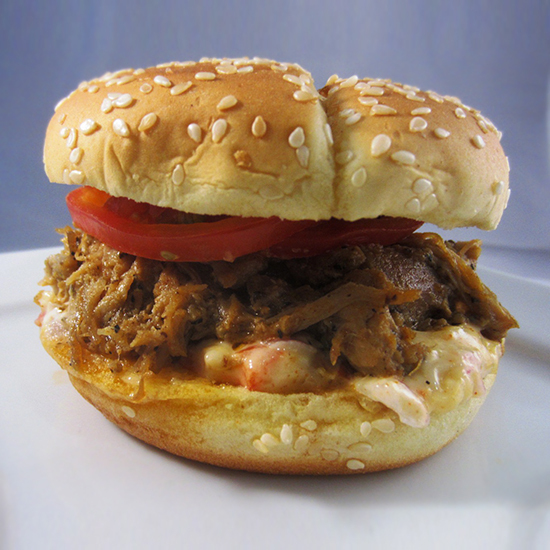 The unofficial spice of Baltimore—Old Bay Seasoning, often used with local crabs—features prominently in this beer-braised pulled-chicken sandwich, served with tomatoes and sweet corn mayo. 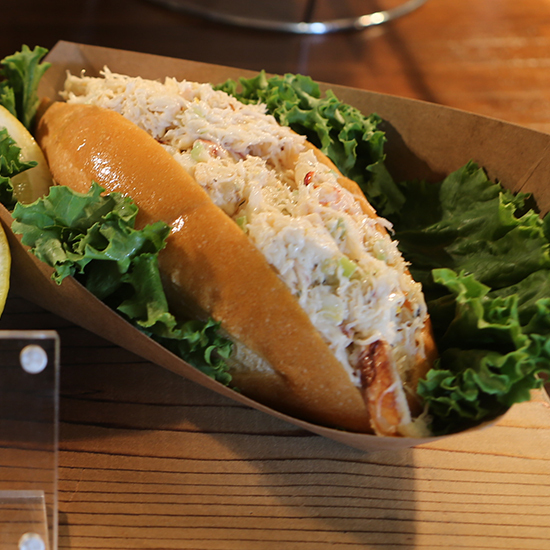 Seattle's answer to the lobster roll starts with fresh Dungeness crab, dressed with citrus aioli and celery, and mounded into a buttered, grilled-to-order brioche roll from the local Macrina Bakery. It's served with kettle chips and a lemon wedge. 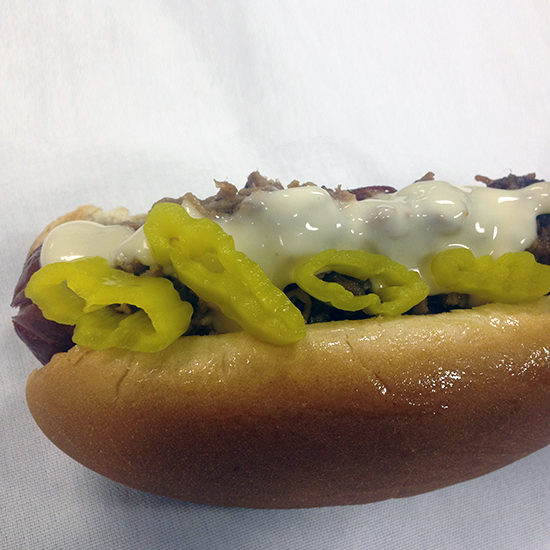 Inspired by the Cuban flavors often found in Florida, this all-beef quarter-pound hot dog is piled with banana peppers, creamy white cheese sauce and shredded mojo pork. What other stadium can boast Johnny Cash's chili recipe? 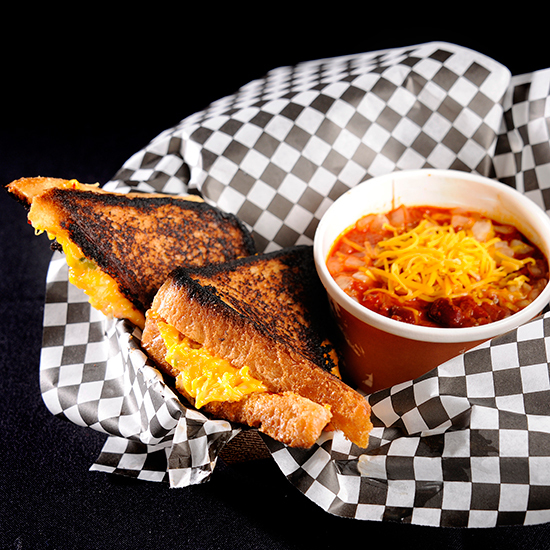 Merchants Restaurant in Nashville highlights the Man in Black's chili on its menu; the same version is served at the stadium, accompanied by a grilled pimento cheese sandwich on Tennessee toast. It's the toppings that set these nachos apart: The steak and chicken are slow-roasted overnight in a spice blend featuring local chiles. 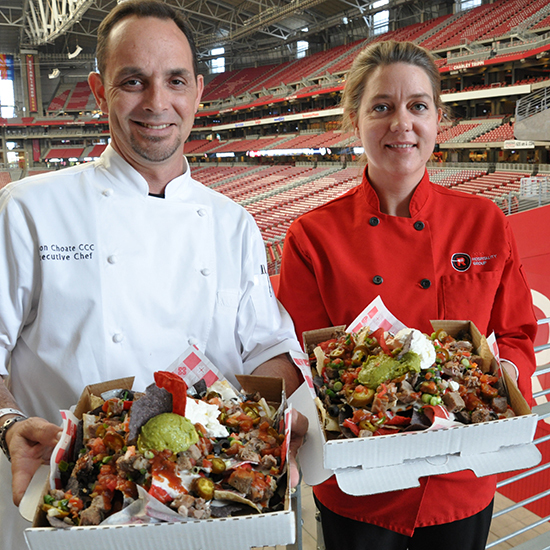 All of the classic nacho fixings—olives, pico de gallo, sour cream, guacamole, jalapeños—are here, too, piled high and served in a 12-inch pizza box. 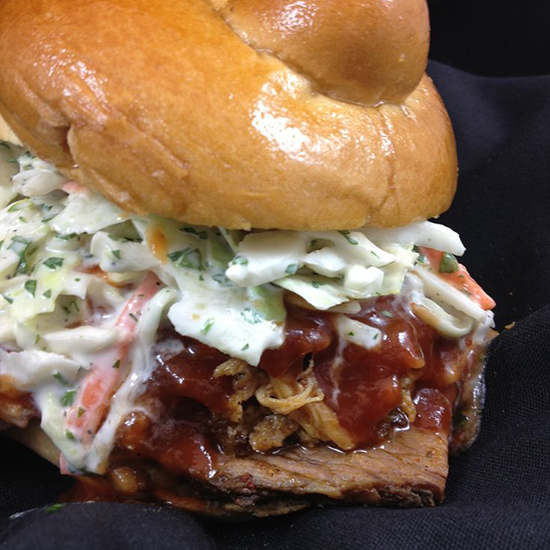 In the spirit of excess, this sandwich is layered with both pork and brisket—both mesquite smoked—then topped with crispy slaw and cheesy corn, served on a challah-knot roll, with your choice of sauce: mustard, brown sugar or Carolina barbecue. Available on club level only. 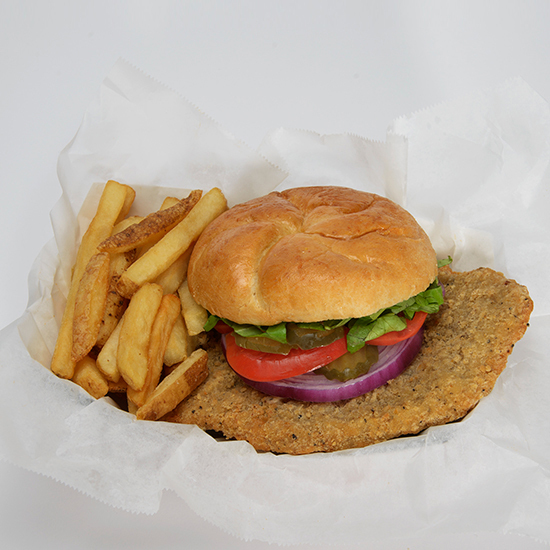 The iconic Midwestern pork tenderloin sandwich is a favorite at Lucas Oil Stadium. This version consists of a jumbo breaded and deep-fried tenderloin, topped with lettuce, tomato and red onion, served on a hamburger bun with a side of fries. 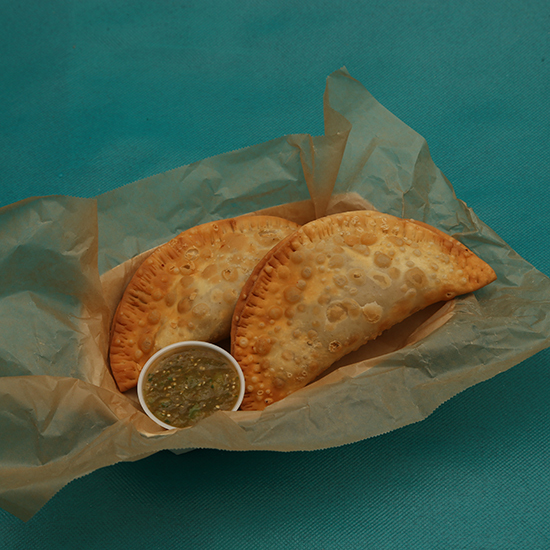 Handheld and snackable, empanadas make ideal stadium food. At Sun Life Stadium, the treats come stuffed with browned turkey, onion, bell peppers and chipotle, with pico de gallo and sour cream on the side for dipping. Available on club level only. 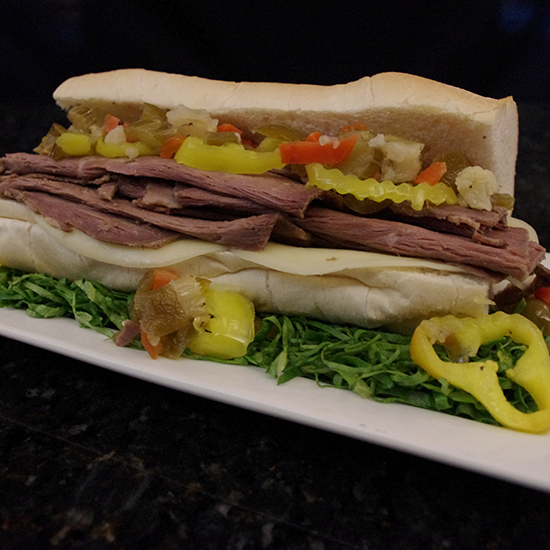 It's easy to see why this is a favorite in The Hill, St. Louis's heavily Italian American neighborhood: Slow-roasted beef is sliced thin and simmered in jus, then piled into a hoagie bun with provolone and, if you like, giardiniera. It also comes dipped. 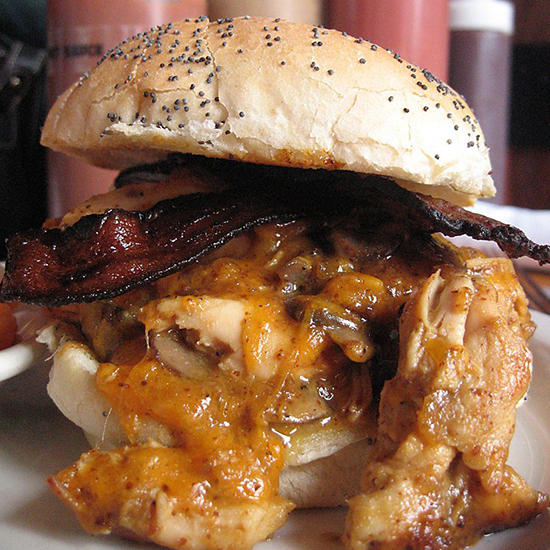 Detroit's favorite barbecue joint always draws in the crowds, and The Yardbird, sold at Ford Field is one reason why: It's pulled smoked chicken smothered in sautéed mushrooms and mustard sauce, topped with cheddar and applewood-smoked bacon, served on a brioche bun.